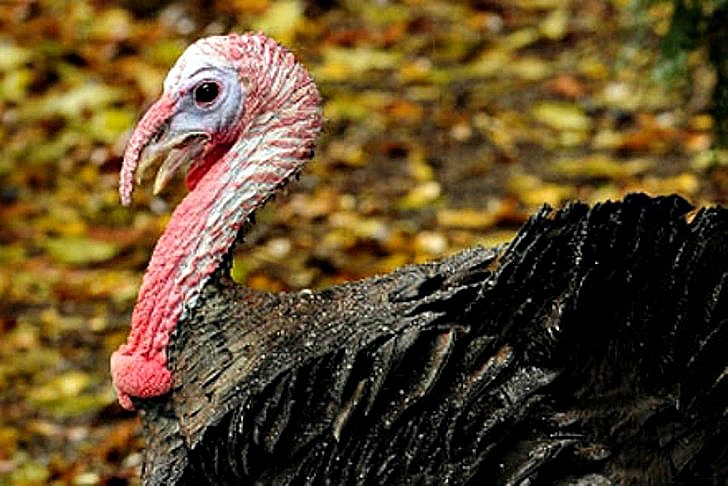 While this wasn’t the best week for most turkeys in the United States, Franklin, a distinguished North American wild turkey named after Benjamin Franklin, has been living a life of relative luxury at the Prospect Park Zoo. The lucky bird has survived 12 Thanksgivings so far, and seems pretty happy about it, if his energetic strut around the zoo grounds is any indicator. Zelda, may she rest in peace. Much like Battery Park’s beloved Zelda, another long-term Thanksgiving day survivor until a fateful accident that took her life earlier this year, Franklin has earned much respect for his savvy survival skills. Unlike his less lucky cousins, Franklin was seen roaming around the zoo’s expansive garden with animal companions such as domesticated sheep, goats and geese. If you have the time today and want to work off that third serving of pumpkin pie you ate yesterday, feel free to visit Franklin and celebrate his years of outsmarting the turkey-basting masses. Online viewers can also check him out on the Prospect Park Zoo blog. While this wasn't the best week for most turkeys in the United States, Franklin, a distinguished North American wild turkey named after Benjamin Franklin, has been living a life of relative luxury at the Prospect Park Zoo. The lucky bird has survived 12 Thanksgivings so far, and seems pretty happy about it, if his energetic strut around the zoo grounds is any indicator. NYC's other long living turkey, Zelda.